Time in a quality barrel is essential to producing fine wine and spirits. Our barrels are built from 36-month air dried export grade American White Oak. Using lean and efficient manufacturing systems our barrels are built with the highest levels of precision creating consistent volume accuracy. State-of-the-art CNC jointing and machine fit head profiling produce extremely accurate stave and croze joints for liquid tight barrels. 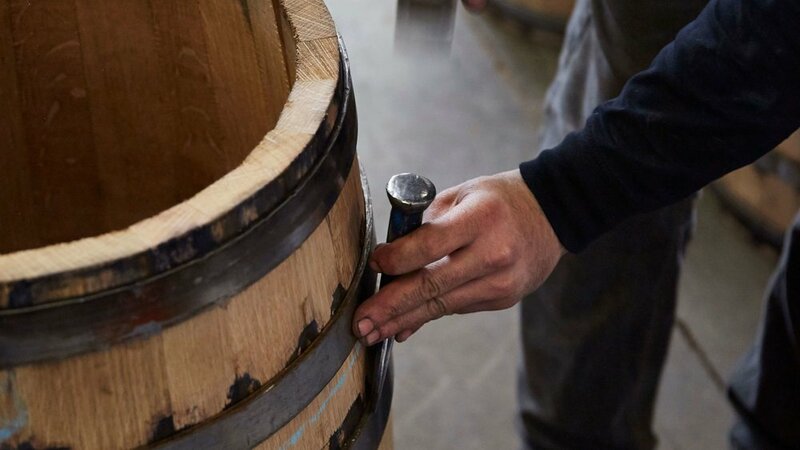 We sand every barrel for a fine high-quality finish. Heavy gauge hoop steel is edge conditioned for better handling for both the galvanized hoops on wine barrels and black hoop steel on spirit barrels. Every barrel is partially filled with filtered water and pressure tested for quality control. Barrels are individually wrapped with plastic, including heads, to stabilize the drying process eliminating the need for rehydration if filled within 30 days of delivery. Wrapped barrels can be stored for longer periods of time in a climate-controlled environment. We know our barrels look good, but it's the interaction with the interior of the barrel that's important to the maturation process. We fire bend and low temperature toast every barrel with wood scraps from the machining process to build layers of flavor enhancing the final toast or char. Smell the difference in our barrels. Our charring and toasting technology provides extremely accurate temperature controls delivering consistent toast and char levels from barrel to barrel, order to order. We offer four standard options...light, medium, medium+ and heavy. We can customize toast and char levels to accentuate your recipe.